Copper has been used for many years in all different types of objects, from jewelry and buttons, to utensils and cups. It has a very unique feel and immediately exudes a sense of quality and value. Metal is material virtually indestructible. It is suitable not only for finishing walls, but also the tops.Metal tiles are made of copper or brass. Metal tiles perfectly blend with concrete or glass casting industrial character of the premises. They are a spectacular element of interior design. Metal tiles have a smooth surface with a shiny gloss. Created various collections of metal tiles, which are characterized by attention to detail and perfect execution. 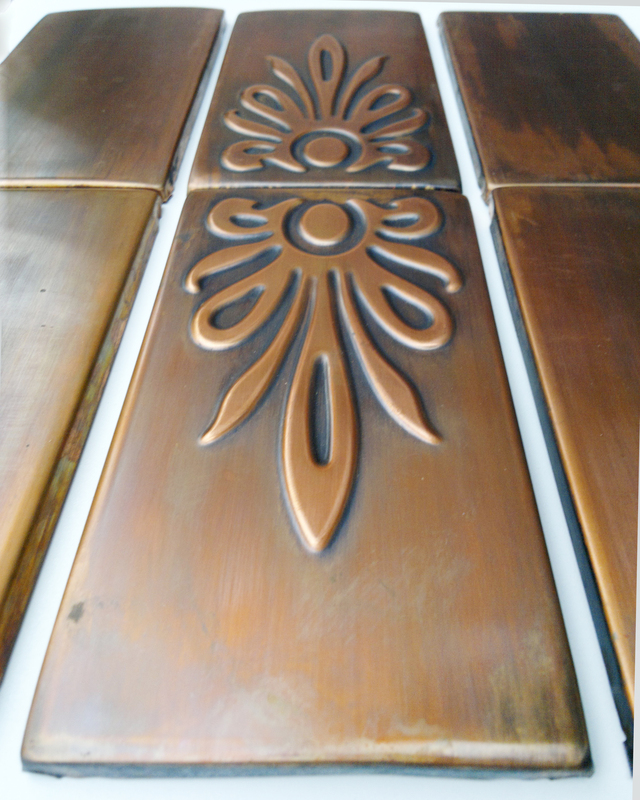 We offer a wide range of designs, sizes, and choice of copper or brass. 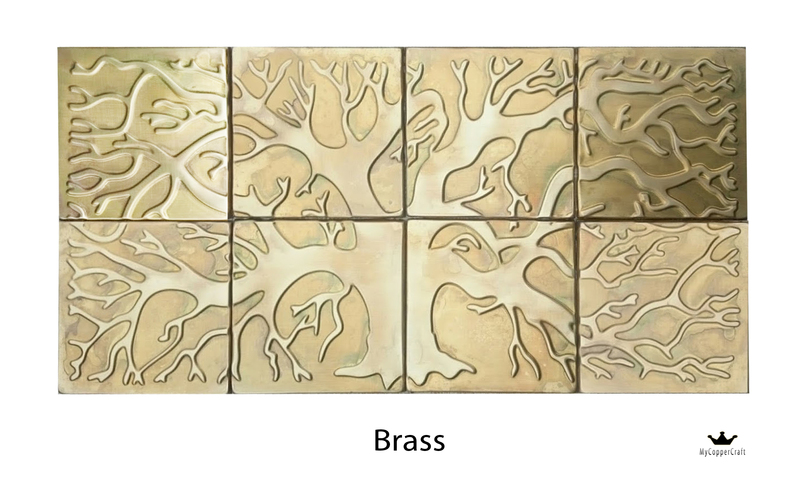 This is a great alternative to use for in a kitchen backsplash, feature wall or as decorative borders. 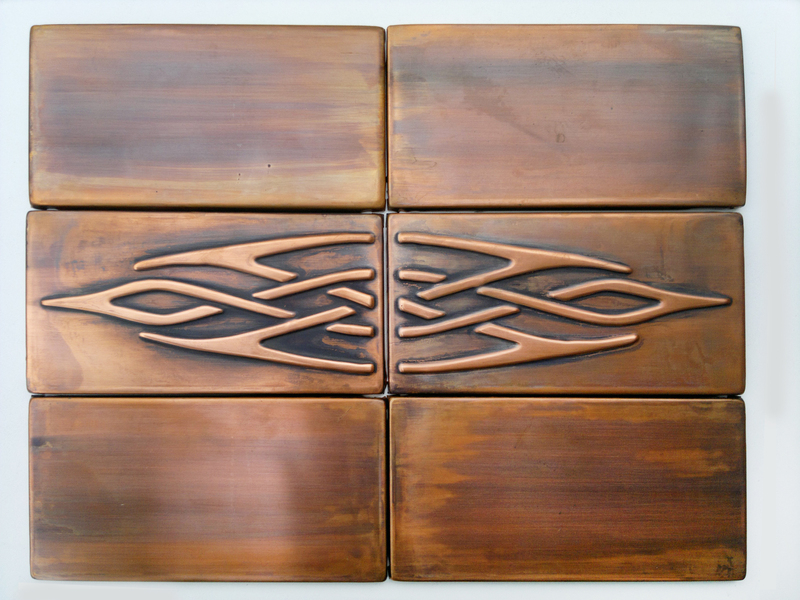 The clean geometric design with copper is chic and visually striking. The tile will provide any room with a rustic, unique, stylish and both contemporary appearance. 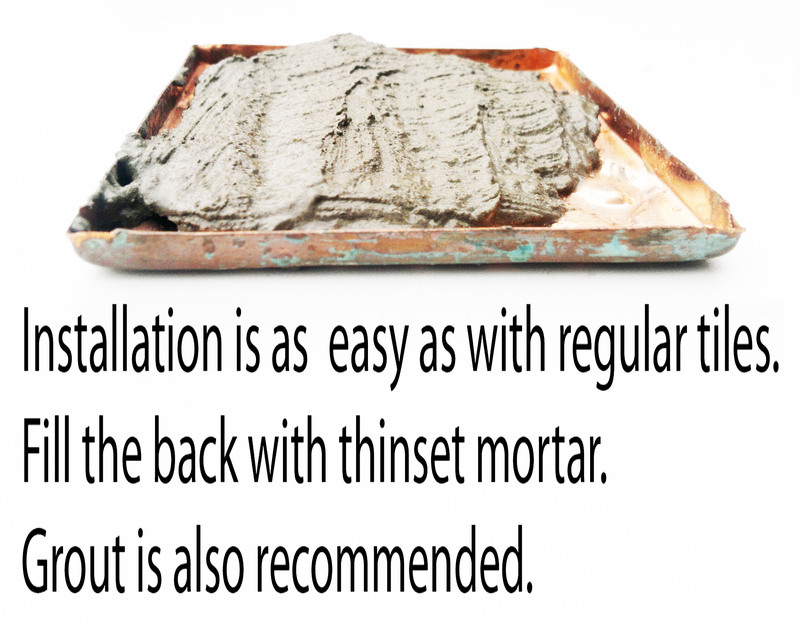 Installation is as easy as with regular tiles, fill the back with thinset mortar, grout is recommended. 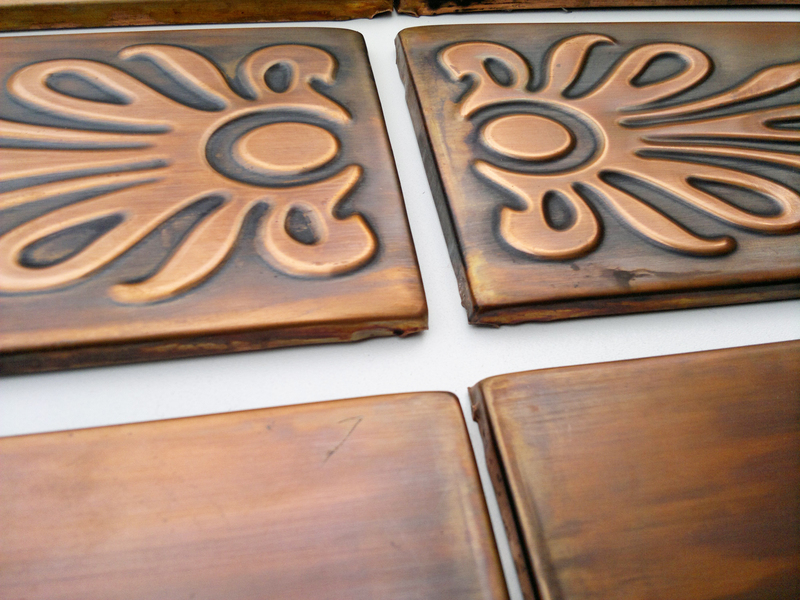 Brass tiles also available. Beautiful gold color.